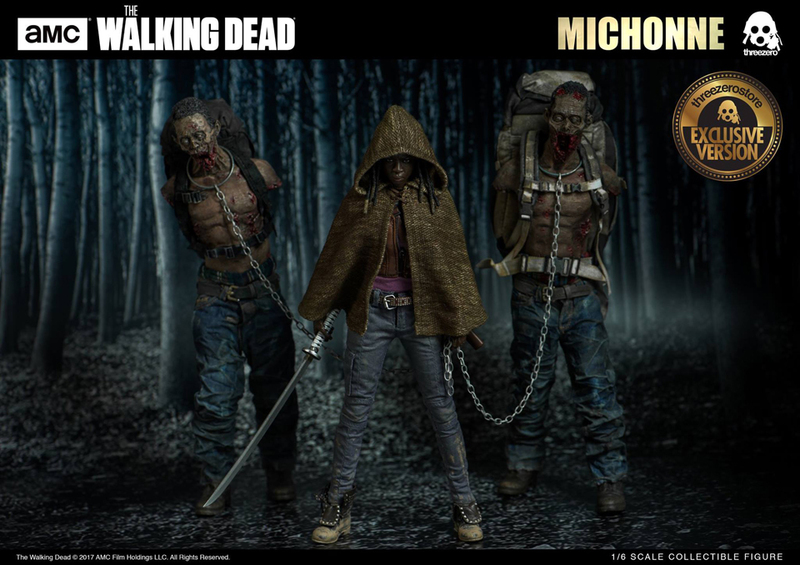 The badass Michonne and her pet walkers get the Threezero treatment as a set of sixth-scale action figures. 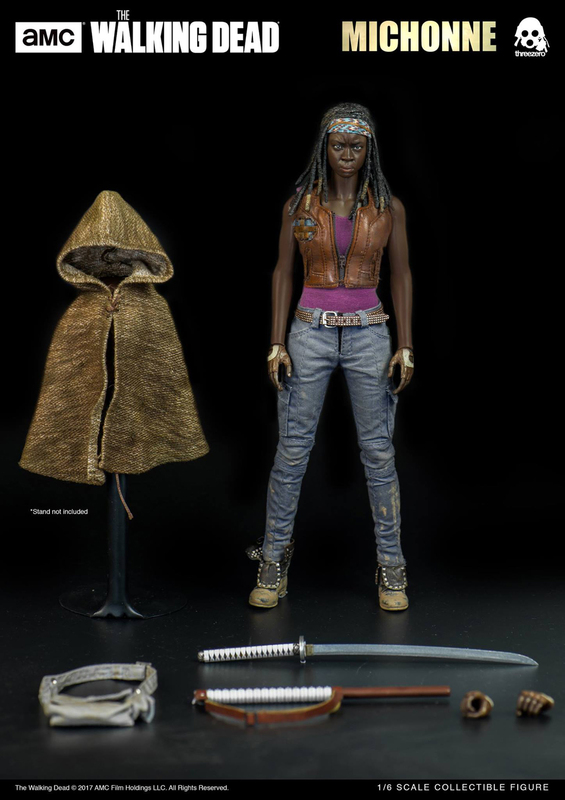 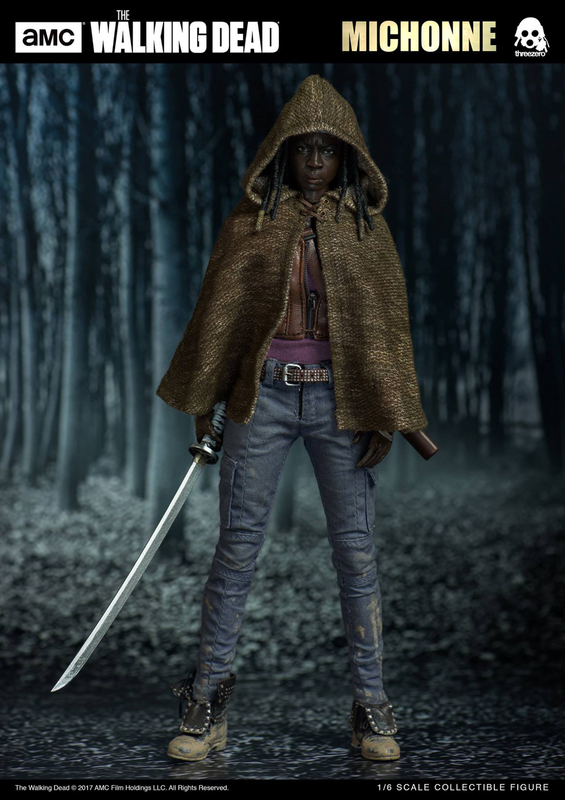 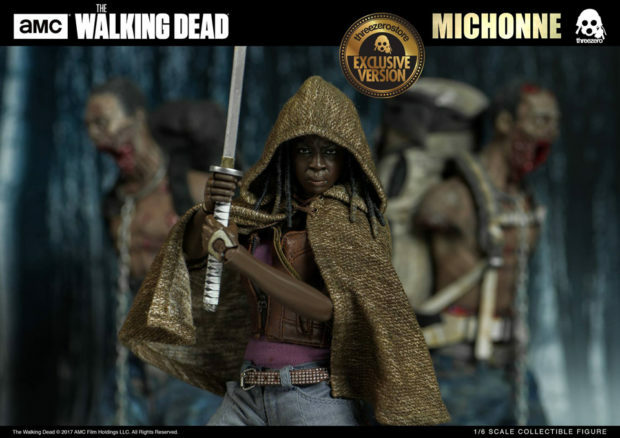 Michonne comes with her signature katana with a matching scabbard and strap, two pairs of hands, a cloak and a messenger bag. 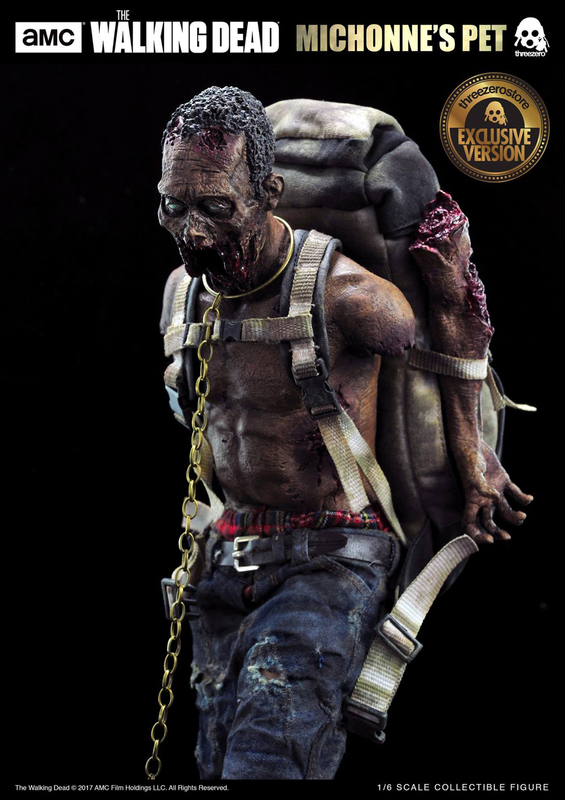 Her zombie friends look absolutely sick, each coming with a metal leash, a chain and a wonderfully proportioned detachable backpack. 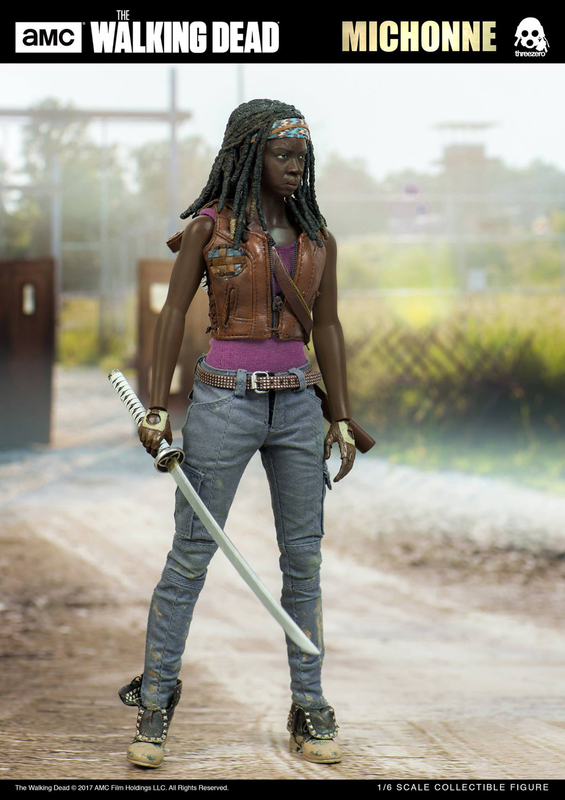 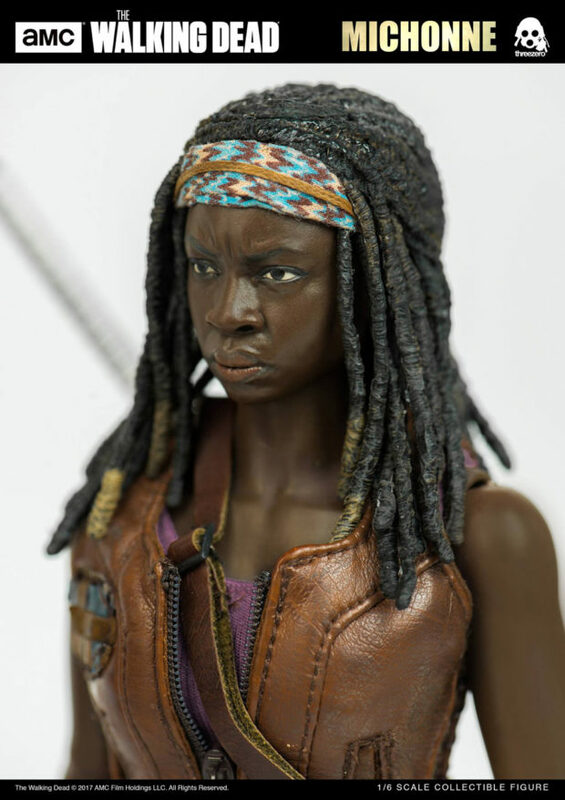 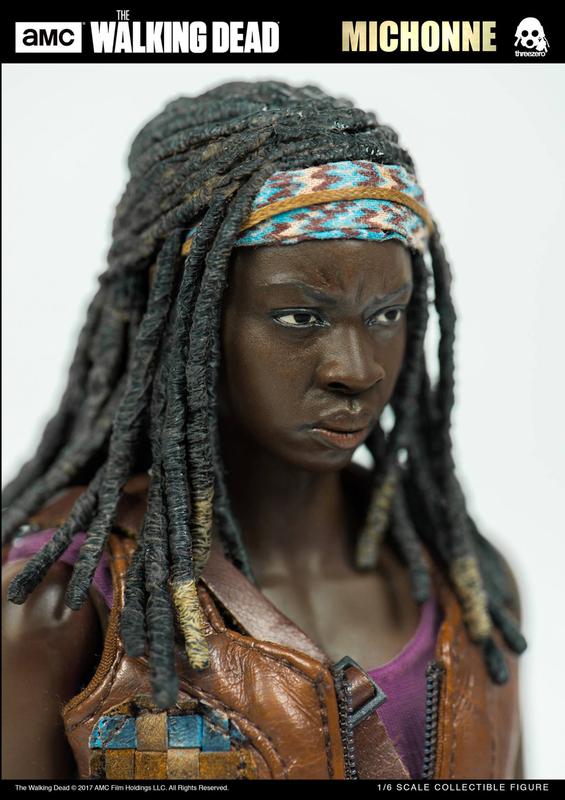 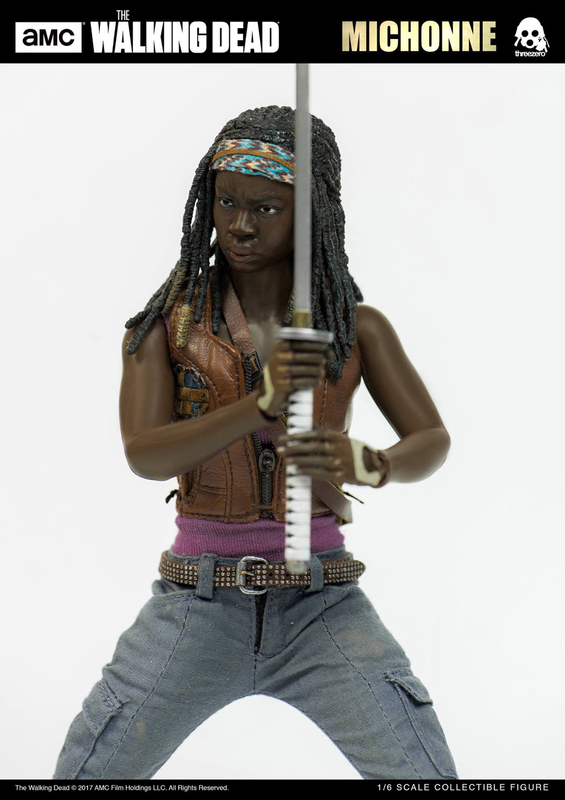 Threezero’s decision to go with a soft PVC material for Michonne’s arms appears to have backfired though. 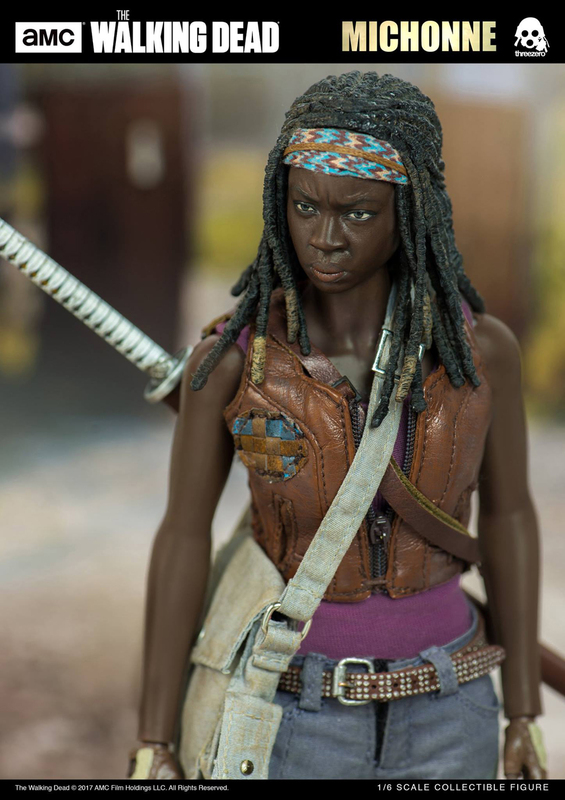 Their flat Barbie-doll finish makes them look cheap next to the action figure’s detailed parts and accessories. 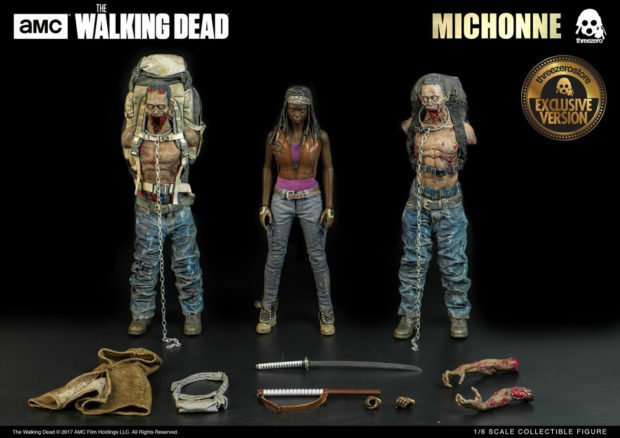 The three action figures are available as a set exclusively on Threezero’s store for $360 (USD). 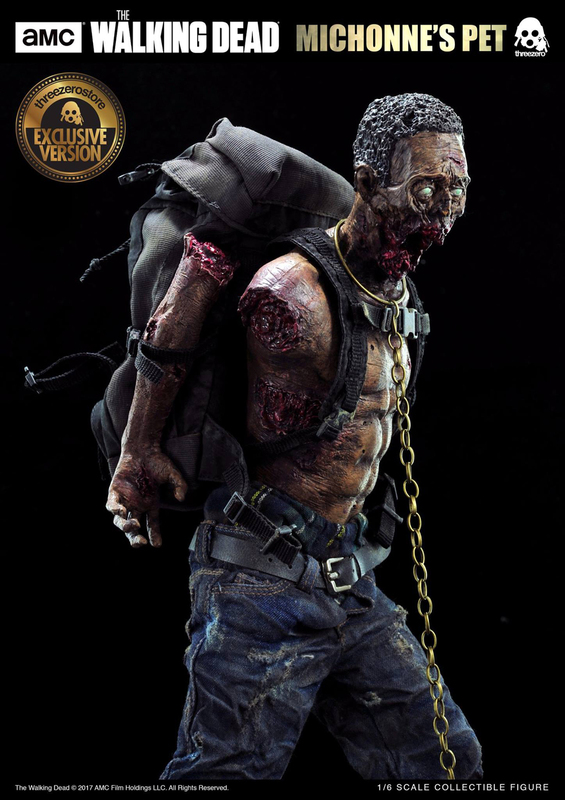 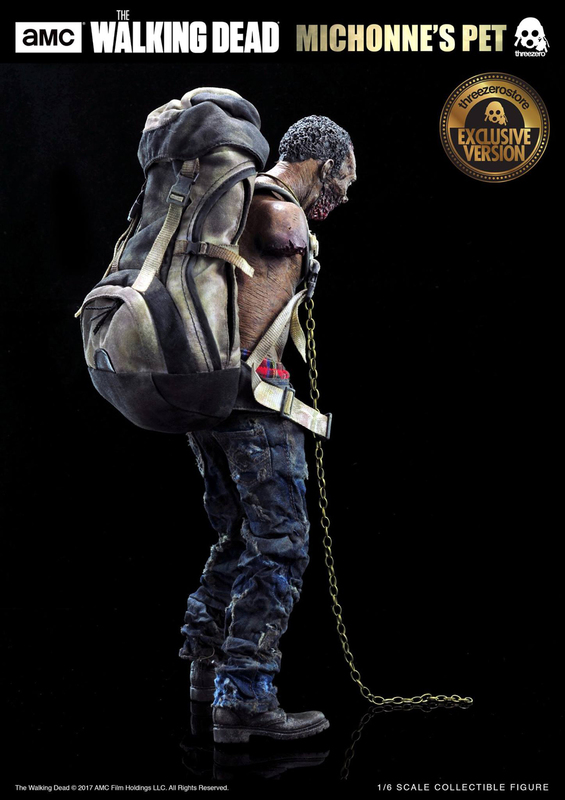 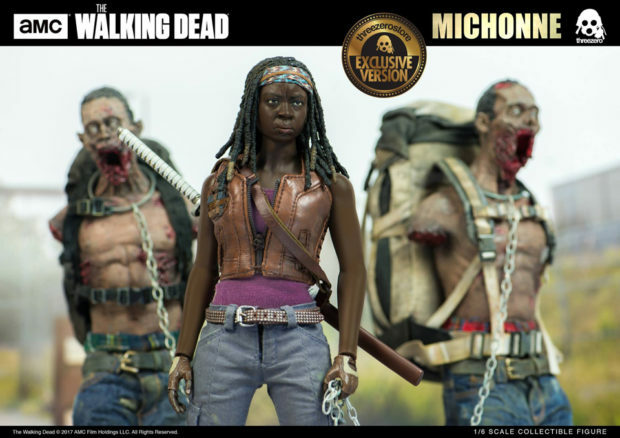 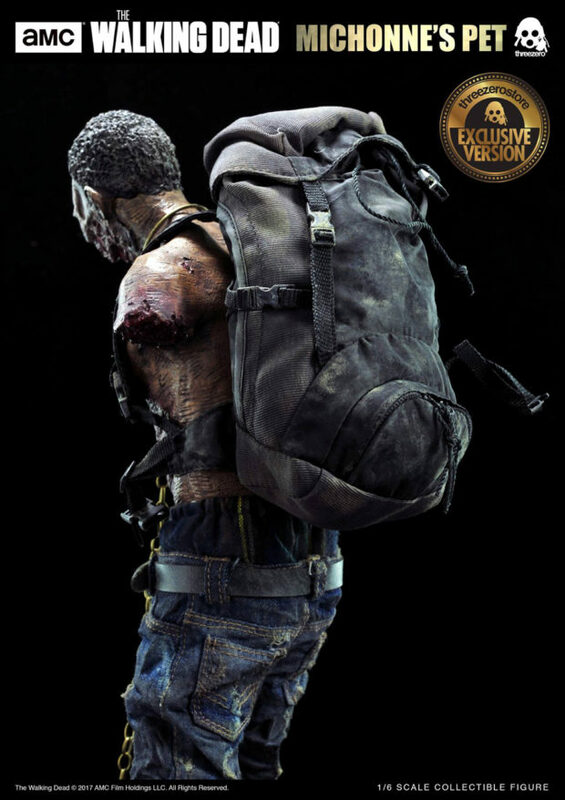 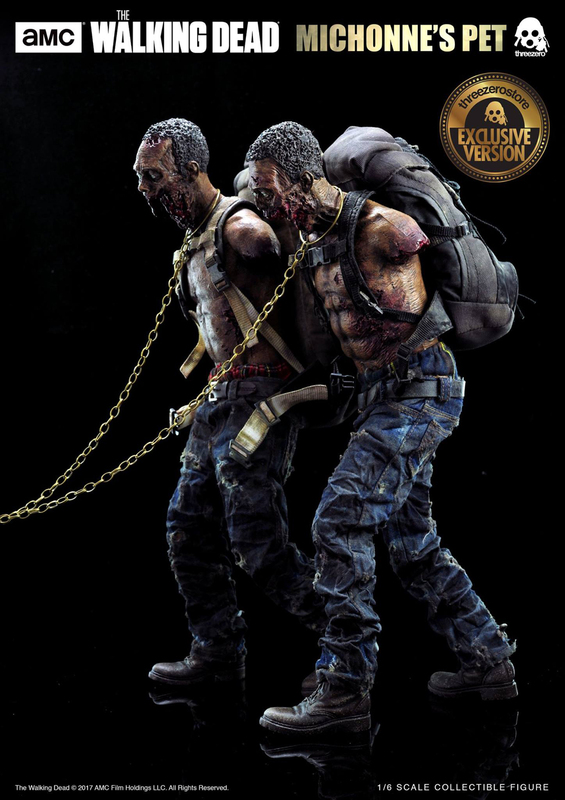 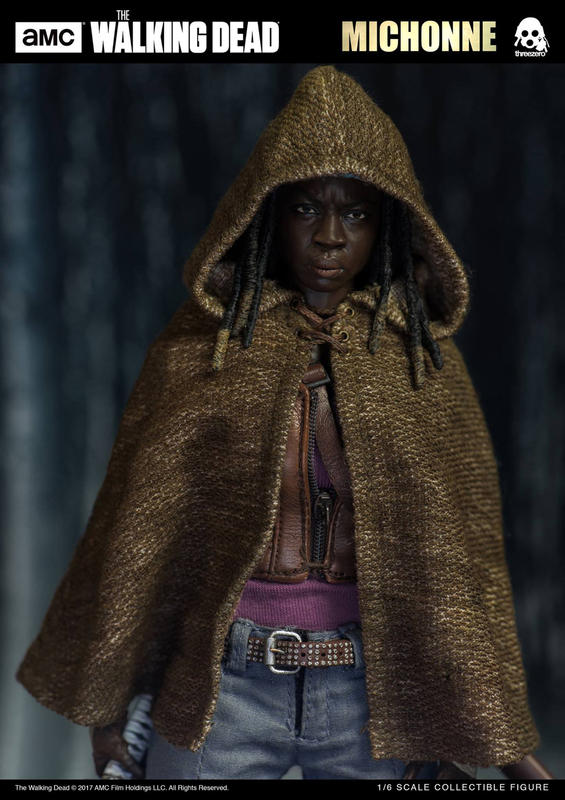 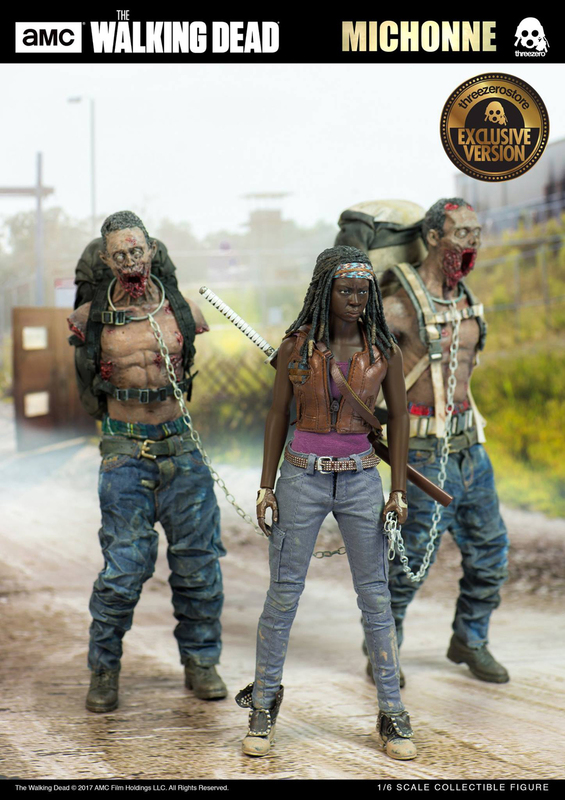 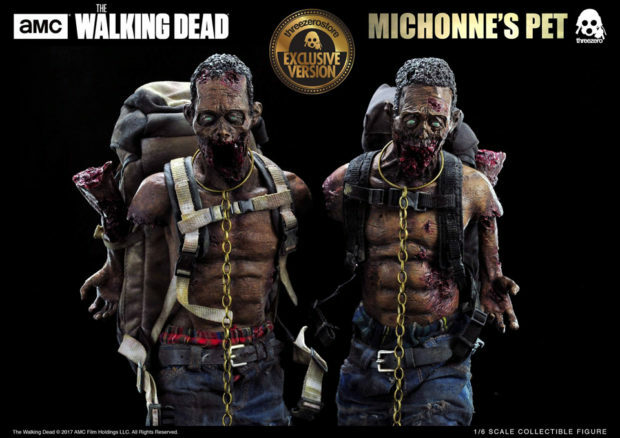 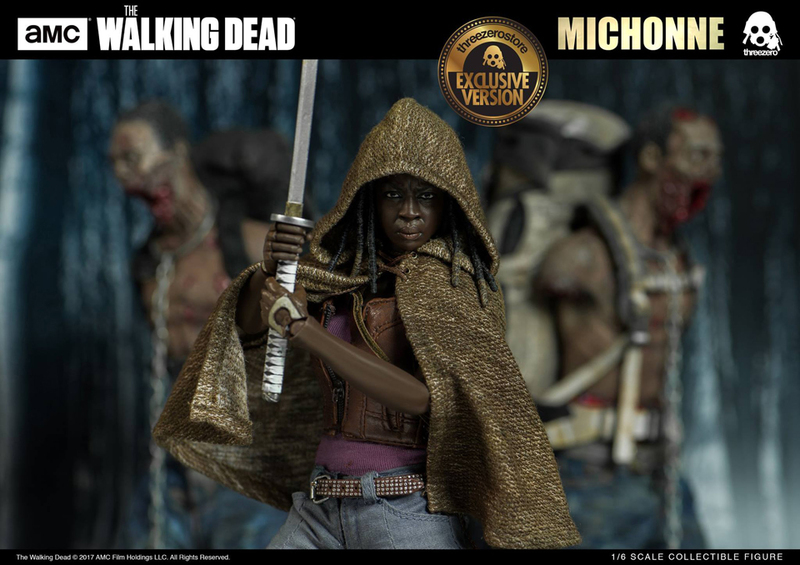 You can also get Michonne separately for $165, while the two zombies are available without their master for $260.